'My name is Arthur Smith, unless there's anybody here from the Streatham tax office. In which case, I'm Daphne Fairfax.' This has been Arthur's opening line at hundreds of stand-up comedy performances. In fact, he is neither Daphne nor Arthur. Friends and family know him as Brian. One of the 'alternative comedians' who shook up light entertainment in the eighties and nineties, Arthur (and Brian) is also a broadcaster, an opening bat for Grumpy Old Men, a West End playwright (his plays include An Evening with Gary Lineker) and a guest on innumerable radio and TV panel shows. 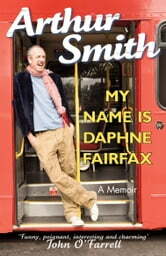 In My Name is Daphne Fairfax he reflects on the nature of comedy and his days as a scruffy kid on the bombsites of Bermondsey, a wild-haired undergraduate, a roadsweeper, an English teacher, a failed rock star, a boozed-up sexual adventurer and an intensive care patient who has been told never to drink again. 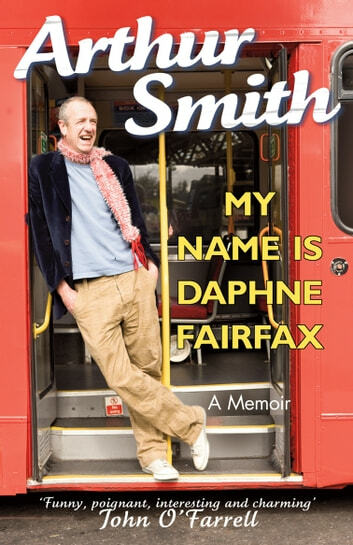 Hilarious, scandalous and rude, his memoir incorporates a tender tribute to his parents and a vigorous account of the peculiar business of being alive.